Cephalonia (Kefalonia) is a beautiful island. Some have said that while Corfu has all the history, Cephalonia has all the beauty. We would have to agree with that. Not that Corfu is ugly, but it just does not have the outstanding beauty of Cephalonia. 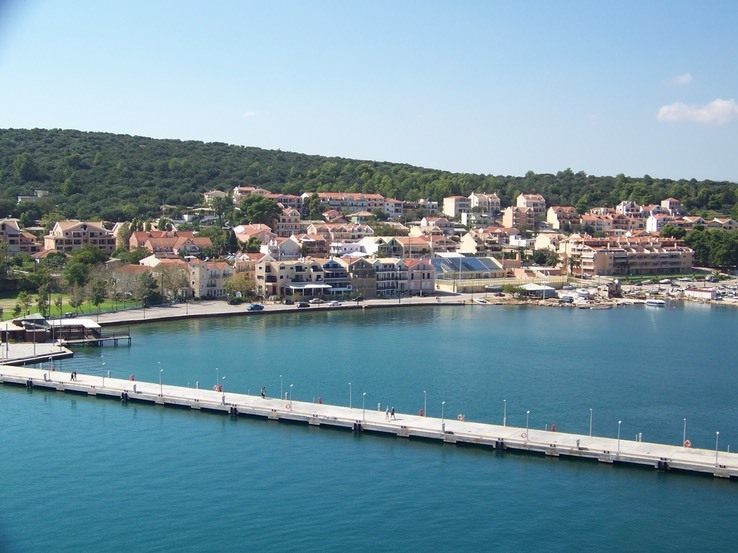 One of the nice things about Cephalonia is that the port area is very well kept and pleasant. Our tour took us first to the Drogarati Cave, which was a great disappointment. The problem is that it has not been well maintained and there is no one in the cave to supervise what people are doing. Many of the people who go in touch everything in sight, totally ignoring signs that tell them not to touch. It might be an interesting cave if you have never been to Carlsbad Caverns, or even the cave at Halong Bay, Vietnam, which is a dead cave (no new growth or formations). For us, the kittens playing outside were more interesting. It was sad to see the cave in such poor condition. Melissani Lake was a better experience. The lake is underground in a cave but part of the roof caved in so it is now about half open to the sky. We walked down a ramp to the water’s edge where we boarded a boat, which a well-muscled young man rowed around the lake while telling us about the lake. The interesting thing about this lake is that it took a very long time to figure out where the water was coming from. Apparently there is a ‘swallow hole’ (the opposite of a blow hole) on the other side of the island, and the water in the lake comes from that swallow hole. That means the water is brackish, since the sea water is added to whatever fresh water the lake gets. The drive around the island was beautiful. The island is quite mountainous, as well as green. We had a short photo stop at Myrtos Beach, which was gorgeous with its incredibly blue water. The mountains drop straight into the ocean over much of the island, and the road is carved into the side of the mountain. It is amazing to see trees growing on such steep terrain. 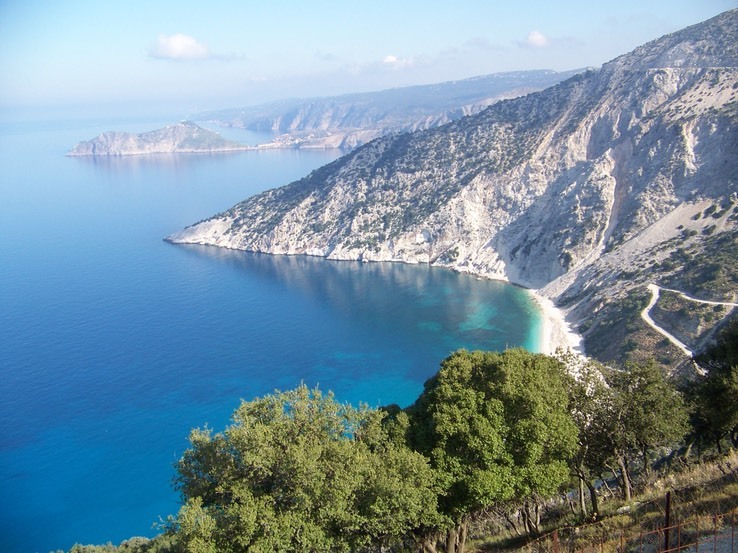 We are not sure we’d want to go back to Cephalonia unless we could find something of interest to do there, apart from the cave and the underground lake. However, it’s definitely worth a visit if you’ve never been there before.